How much does it cost to build a rear extension? We know that building an extension can seem daunting at first, not knowing where to start or who to talk to. But once you get the costings of your project underway, everything seems just that little bit more organised. For most, it comes as a surprise just how much work goes into erecting a rear extension, so we’re here to help you get all your ducks in a row in order to ensure that your project goes as smoothly as possible. The most influential factor in the pricing of your project will be the size of extension you choose to go for. A good way of estimating how much the cost of your project will be, is to follow the rule that a build can generally be measured at anywhere between £1,200 and £1,500 per m2. However, in London and the South East, this could rise to between £1,500 and £2,000 per m2. For example, if you’re looking for a 5m x 5m extension, this would cost around £30,000. As mentioned, this estimate could rise significantly if you’re planning on building in London or the South East. For calculating a two-storey extension, the general rule is to simply multiply a single storey estimate by two. So, if your single storey estimate came out as £35,000, the two-storey estimate would come to £70,000 (providing both floors are the same size). Finding a good architect is one of the most important aspects of any extension, as they have the ability to make or break the project. However, architects do not come cheap… unless you use Resi! 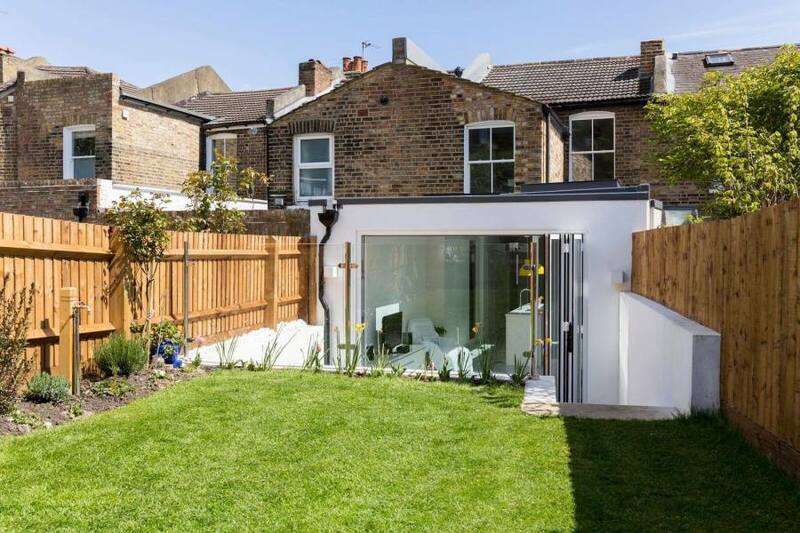 For a rear extension, Resi provides a Planning Package from £720, which takes you through the entire design process, ensuring you’re happy with your final plans. We’ll then be there to submit your planning application for you, if this is the route you’re taking. Regardless of whether you’re obtaining Planning Permission, or simply operating under your Permitted Development Rights, you’ll still need to get approval from the council - which comes with a fee. These costs could increase further if your application gets rejected and you need to reapply, or if issues come up surrounding the Party Wall agreement with your neighbours. Getting building regulations approval is one of the hidden costs that many people seem to not be aware of when pricing their upcoming build. They’re a set of standards that a new build must meet, regarding fire safety, energy efficiency, household fuel conservation, and plenty more exciting topics like these. Resi provides a Building Regulations Package in order to secure approval from building control, starting from £775. Considering your different options for flooring is an important step in creating your budget. When choosing a type of floor, you should think about the period and feel of your home, and which option would be the best fit for your extension. There’s no point kitting out your new build with the highest quality finishings, and completing it with a tacky linoleum floor. For the pricing, this completely depends on the level of quality, and type of floor you will be going for. Choosing a hardwood floor over a laminate wood floor, would obviously come at a much higher price. However, investing in your fittings may pay off in the long run, by adding to the resale value of your home. The same goes for your choice of glazing. It’s crucial to choose a glazing style that’s right for your home, as whatever you go for will greatly affect your day to day life. Double glazing is a good option, but not the cheapest one - it will cost around £2,000 to install four windows in your extension. Maybe think about secondary glazing as a cheaper alternative (this option costs about 1/5th of the price of double glazing). Top tip: Before purchasing your window, always remember to check out its U-value. Depending on whether you’re opting for an open plan or divided layout, the removal of any walls, either internal or external, may be a financial consideration. This can cost anywhere between £300 to £1,200 per wall, depending on whether the wall you’re looking to remove is load-bearing. We advise you to ask your structural engineer for further information on this. As you may have noticed, these prices do not include utilities or fittings, as these aspects are so subjective to the budget of the individual, and to the intended use of the new space. It’s important to bear in mind that if you’re looking to use the extension for a bathroom or kitchen, for example, there are going to be significant costs surrounding the necessary plumbing, electricals, cabinets, worktops, etc. Speak to your architect about these. If you’re looking to go forward with a rear extension project, why not speak to an expert? Book in a free consultation call with one of our Resi architects.